Join over 200 Exhibitors & 20,000 Attendees! Since 2002 we have produced over 60 Women’s Shows. We are the industry leader in executing female focused events. Annually we connect over 1400 companies with 110,000 women creating The Ultimate Girls’ Day Out! Booth space availability is limited! Book now for your best available booth location. Our show zones make it easy to place each exhibitor in the perfect spot on the show floor to meet the crowds. We want to make it easy for attendees, who are ready to spend, to navigate the show floor and find your booth. Let us help you determine the best zone to sell your products, generate leads and have a profitable and successful weekend! Women are always looking for new ways to staying healthy and looking great. At the show they can explore alternative medicine, spa services, make-up and skincare, vitamin supplements, cosmetic procedures, diet and nutrition assessments, and more! From planning the family vacation to an overnight girl’s getaway the show offers everything from golfing, sun holidays, fitness clubs, adventure sports and spa retreats. Join top brands and place your collection of clothing, accessories and jewellery in the hands of women who are ready to shop! 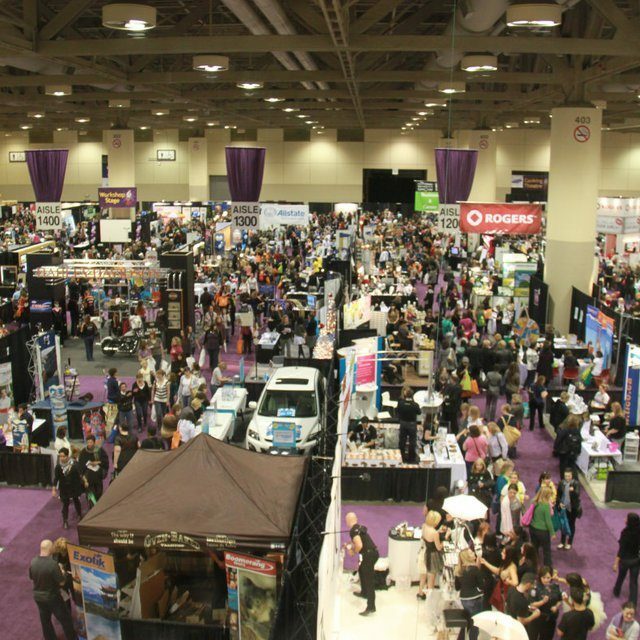 Easily the busiest aisles on the show floor, The World of Taste showcases new product launches, gourmet fare, decadent treats and sweets, and savory snacks. Women are the key decision makers of the household, they come to the show looking for resources to freshen up their homes from custom organization and closets, expert advice on kitchens and bathrooms, and the perfect accessories! Click here to find additional Marketing opportunities to reach the women we connect with on an annual basis. Ask us how you can extend your visibility with year round reach. Looking for more brand exposure? Highlight your brand as an industry leader by being a sponsor! Sponsorship puts your brand in the minds of attendees before they enter the show and boosts your company profile throughout the event. Sponsorship offers inclusion in the event’s mass multi-media advertising campaign, pre-show website exposure, social media promotion, as well as on-site branding to ensure your company makes an impact on visiting attendees. Sponsorship packages can be tailored to meet your budget and unique business objectives. Celebrity guest speakers, first-class fashion shows, interactive consultations, insightful workshops, free makeovers and cooking demonstrations on our feature stages all weekend! Celebrity guests, TV personalities & fashion shows all weekend long! Visitors indulge in free makeovers & sample the latest products. Chefs and food experts prepare dishes & provide entertaining tips and ideas! Experts speak on everything from Financial Planning, to today’s Health Issues. We reach over 5 million women through our social media and digital marketing channels throughout the year! Expand your exposure with us!